When you think of Florida wildlife, your mind probably turns to manatees, alligators, and marlins. 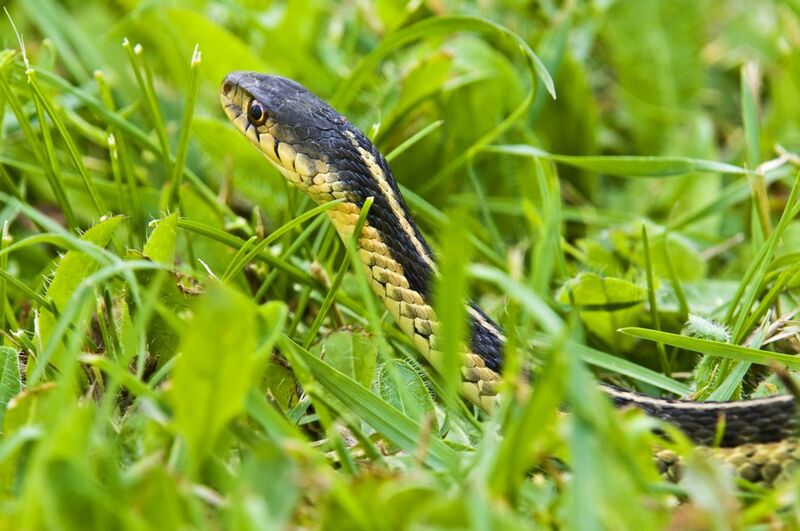 Cast your eyes downwards at the flourishing green grass, however, and you just might come across one of the many species of snakes in Florida. Thanks to our humid weather, lush subtropical landscapes, and dense undergrowth, it’s no surprise that there’s an abundance of snakes in Florida, particularly in the southern tip of the state. From the graceful Florida watersnake to the secretive (and highly venomous) Coral snake, there are over 50 species of snakes in Florida, with six of these snakes considered venomous. Additionally, four of these six snakes reside in South Florida, particularly in the mangrove forests of the Florida Everglades. Whether you’re visiting Florida for a family vacation or just want to know what’s slithering around in your backyard, take a look at the most common snakes in Florida – including those species you’ll want to stay away from. The type of snakes you’ll encounter in Florida largely depends on what part of the state you’re in. For example, you’re far more likely to encounter a common garden snake in the more temperate climates of northern Florida than in the subtropical heat of Miami and the surrounding Everglades. The Eastern Garter Snake: Perhaps the most common snake in North America, the Eastern Garter Snake barely tips the scales, measuring an average of twenty to twenty-eight inches at the peak of adulthood. These snakes are often kept as pets and largely exist on a diet of frogs, earthworms and smaller salamanders. Brown and Florida Watersnakes: Florida is home to a wealth of lakes, swamps, and streams, making it a veritable playground for these two species of water snakes. Often mistaken for the venomous water moccasin, these brown watersnake and the Florida watersnake can reach a length of 42 inches, which helps the snakes to glide along water surfaces. Both species of watersnakes feed on fish, frogs and other smaller aquatic creatures. Florida Brown Snake: This snake is one of the smallest snakes in Florida, as it measures seven to ten inches at the peak of its adult life (at birth, this snake will measure four inches long). The Florida Brown Snake is vital to the local ecosystem, as it feasts on insects, spiders, slugs and small frogs that can often overrun the landscape. Unfortunately, the Florida Brown Snake’s habitats are currently under threat, as they reside in swamps, marshes and other ecological landscapes that must be protected. There are six species of poisonous snakes in Florida: the Canebrake rattlesnake, the Eastern Diamondback rattlesnake, the Dusky Pygmy Rattlesnake, the Florida Cottonmouth snake, the Southern Copperhead snake, and the Eastern Coral snake. While all of these snakes have different markings, they can usually be characterized by their bright colors or diamond markings. Also, venomous snakes are far more common in South Florida, with four out of six venomous snakes located within the Everglades. Whatever you do, refrain from handling a snake, even if you’re fairly confident you know what type it is. A majority of snake bites are delivered to the hands and arms as a result of this handling; therefore, leave the snake alone, as it won’t bother you if you don’t bother it. Now that you know a little more about snakes in Florida, it’s easy to appreciate how the Sunshine State’s lush landscapes and subtropical climate have helped to produce one of the most diverse snake habitats in the entire world.